Punk rocker Billy Idol celebrated his 62nd birthday on November 30, 2017, and he thanked his legions of fans who took to social media to wish him a happy birthday. Born William Michael Allen Broad in Stanmore, Middlesex, England, Idol first began performing in 1976 with the band Chelsea. He then co-created the band Generation X, before launching his successful solo career in 1981. Joining Billy Idol was guitarist and friend Steve Stevens. It was his eponymous album that led to his most successful songs to date. Though Idol is 62-years-old, his music continues to draw new fans and a surprising collaboration of his hit “Rebel Yell” with Miley Cyrus went viral. You can see that video below. Billy Idol used Twitter to thank fans who had wished him a happy birthday across social media outlets. Billy Idol is on Twitter, Facebook, Instagram, and YouTube. Thanks for all my B’day greetings today…. Idol has recorded eight, studio albums with his first album Billy Idol released in 1982 and his latest album, Kings and Queens of the Underground released in 2014. You can listen to a playlist of Billy Idol’s most popular hits in the video player below. Billy Idol may have just turned 62 but don’t think he’s slowing down. On Nov. 6, 2017, Idol announced that he will be playing the Rockville Fest in April 2018 along with Ozzy Osbourne, Foo Fighters, Avenged Sevenfold, and more. For Billy Idol’s birthday, fans shared photos of the singer from over the years. Idol had developed a bad-boy reputation in the 80s and was known for his glare and “in your face” attitude. An interview with Idol on David Letterman caused an uproar as he explained some of his bad behavior to the host. Billy Idol had many female fans who attended the Letterman interview on July 24, 1984, to see the rock idol in person. “If the world doesn’t allow you to dream, move to one where you can” ~ Billy Idol. In 2016, a fan created and shared a photo, slideshow in video format depicting Billy Idol from birth to the age of 61. CBS caught up with Billy Idol in 2014 as he was preparing to tour. Back then, at the age of 58, he was questioned about his trademark sneer. Idol answered that he thinks the sneer is a result of his attitude that one has to have in order to make it in the music industry. Are you a Billy Idol fan? Are you going to see him live? Did you see Billy Idol and Miley Cyrus perform “Rebel Yell?” What did you think? 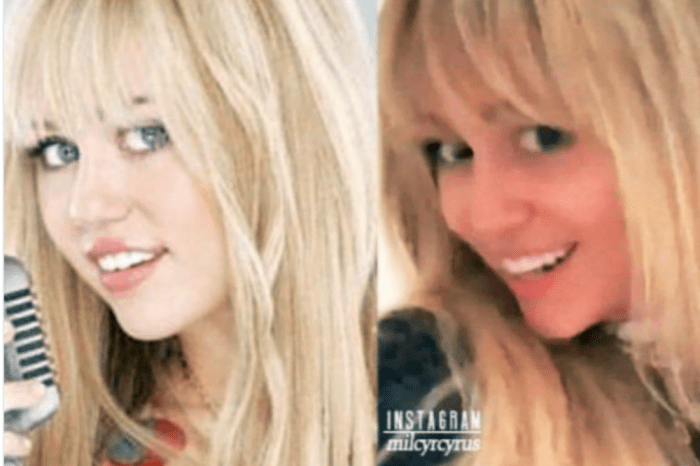 Miley Cyrus Is Not Against ‘Hannah Montana’ Being Rebooted, Source Says – Jonas Brothers’ Comeback Convinced Her!